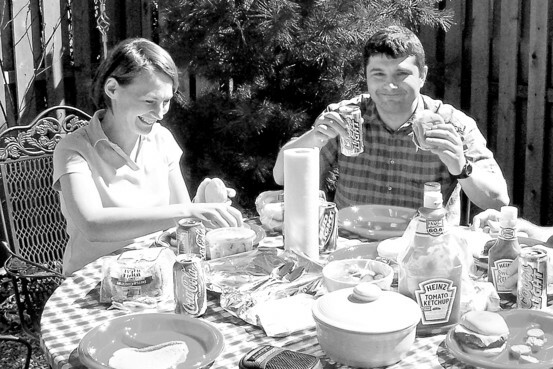 Russian spy suspects Richard and Cynthia Murphy, in an undated photo published in the Wall Street Journal, picnic at the apartment building where they formerly lived in Hoboken, N.J.
Richard has a Coors Light in his hand but a Bud Light on the table, along with enough Heinz products to have influenced the 2004 election. Teresa Heinz Kerry is married to 2004 Democratic Presidential nominee John Kerry. That cheeseburger does look good! Are you going to eat that?